"Allow me? 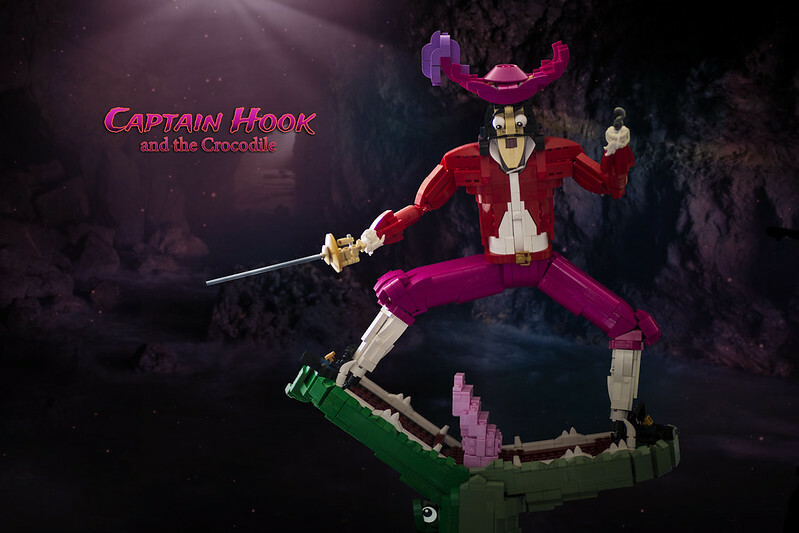 I am Captain James Bartholomew Hook, world's most famous crook - captain of the fine mighty Jolly Roger and its crew, honorable pirate, finder of many treasures and killer of the Croco... Okay, who am I kidding.."
For some reason, Disney's Captain Hook was always a favorite of mine. Not really evil, clumsy and funny at times, having his own nemesis in the shape of a comical crocodile - and always being outwitted by Peter Pan. Or clumsy Mr. Smee.